Dan and Hayden are in Noosa. Hayden cooks up a delicious breakfast salad with chorizo, herbs and eggs while Dan uses Kimchi picked up at a local market in his Korean pork pot roast dish. 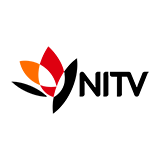 Surfing The Menu: Next Generation was broadcast on SBS ONE at Monday 11 February 2019, 04:30. Surfing the Menu: The Next Generation is an Australian lifestyle and cooking series written for television. It is a continuation of the show Surfing the Menu that aired between 2003 en 2006 and in which two chefs take a road trip through Australia and New Zealand in pursuit of their shared passion for fresh food, cooking, surfing and adventure. 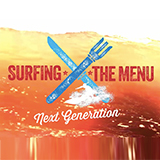 Surfing the Menu: The Next Generation premiered in 2016 and brings back the original show back to television, albeit with two different presenters this time. Hence the addition The Next Generation to the name of the show. Chefs Dan Churchill and Hayden Quinn travel the northern half of Australia in search of fresh produce, interesting people and fascinating adventures.